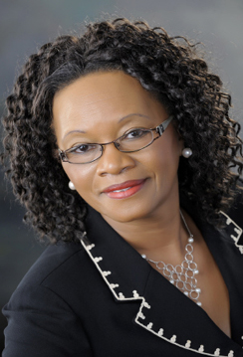 Dr. Evelyn J. Johnson is the founder of Rainbo Renaissance Creative Solutions (RRCS), a company specializing in technical support and training for principals, teachers, and other aspiring leaders. She promotes personal growth and positive social change by focusing on untapped leadership potential. Almost 40 years of professional experience in the public schools of North Carolina has earned her the title, 'Leader of Leaders'. Dr. Johnson enjoys challenges and has taken calculated risks in every position held. She is an experienced leader who believes in teamwork. She advocates that an effective leader creates an environment that fosters healthy relationships in the workplace. She contends that successful organizations are run by passionate people sharing a common vision. She is a problem solver who derives satisfaction from working with a highly functioning team. Dr. Johnson attributes her success to 'being real and comfortable in her own skin', based on one of her favorite books, The Velveteen Rabbit. After 35 years of service, a ride through a rainbow on a sunny day, October 25, 2005, convinced her retirement wasn't an option. Her sessions will leave you energized, excited, and empowered to practice your potential to lead. She'll provide the tools for leadership whether in a classroom, boardroom, factory, church, or business. RRCS's primary focus is Developing Individual Resources Empowering Community Talent, (D.I.R.E.C.T). Dr. Johnson's presentations are lively, entertaining, and just plain fun! She has coined the phrase, "You are who you are based on where you come from—it's your choice, accept or improve where you stand". from Rainbo Renaissance Creative Solutions in Tarboro, North Carolina.